Shelburne, Nova Scotia is well known as a major Loyalist settlement. Founded in 1783 by the Port Roseway Associates, Loyalists of the American Revolution, it retains much of its historical charm through its many preserved buildings and displays of living history. The Shelburne Re-enactment Association demonstrates, via costumed animation, the history of the first settlers of Port Roseway now known as Shelburne. 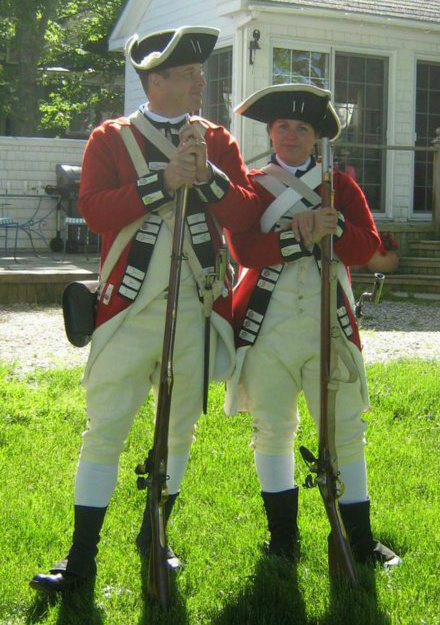 Our living history group re-enacts the life of the 3rd Battalion of the New Jersey Volunteers, a British regiment of soldiers that fought during the Revolutionary War under the leadership of Col. Abraham VanBuskirk. 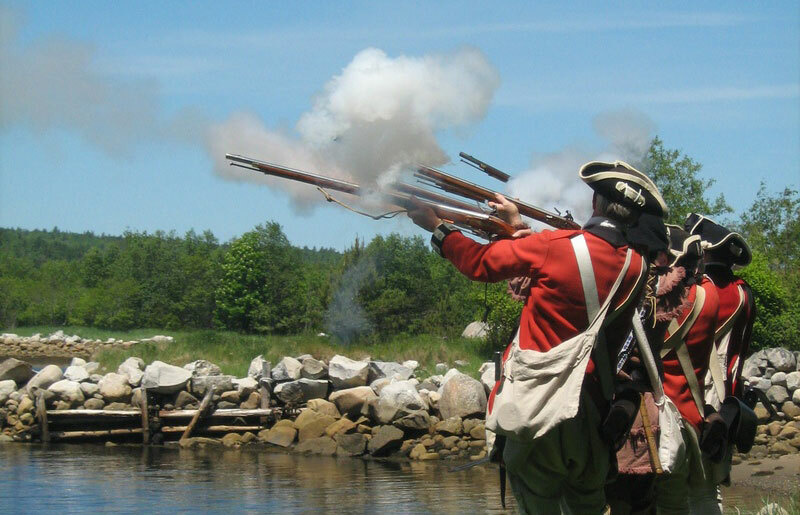 We are the largest, active living history group in the Maritime Provinces. Our association also includes the Prince of Wales Historic Dancers, a group of talented and dedicated artists that demonstrate actual 18th century country dances. We also represent civilian members of this regiment known as camp followers and would include the soldier's families, officer's wives, refugees, hired workers and artisans, trades people who attached themselves to the armies of the day. The Gorham's Rangers, The Royal Artillery and the Musick are also part of the SRA. We feel that it is vital that the history of the town of Shelburne and surrounding areas be remembered as much for our cultural heritage as for the thousands of tourists that visit Nova Scotia each year!